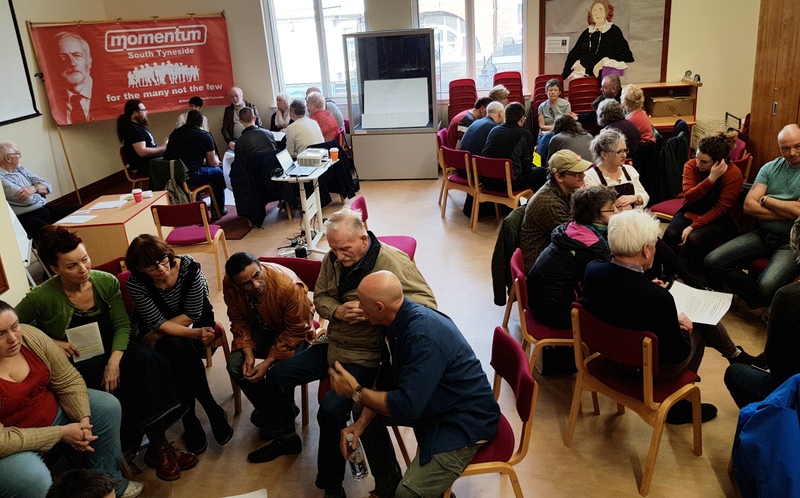 Finding ways to create real democracy in place of cuts and corporate agendas was at the heart of discussions at Croydon’s Ruskin House on Saturday 26 November. 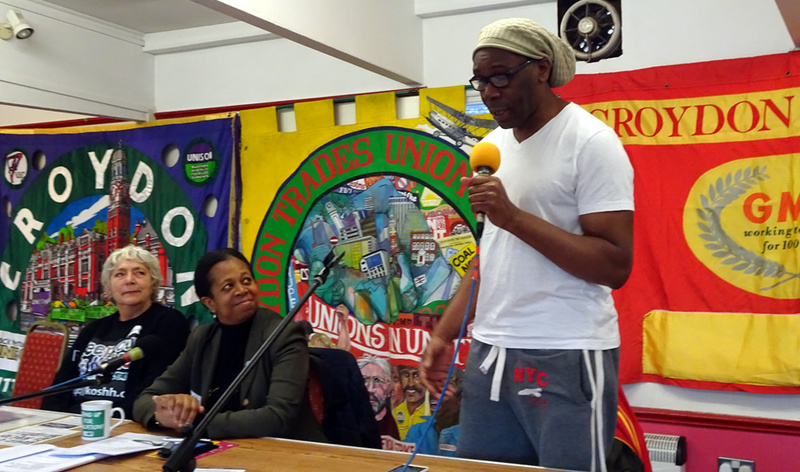 The fifth Croydon Assembly since 2014 brought together community and political activists, anti-cuts campaigners and trades unionists to develop a people’s plan for Croydon. 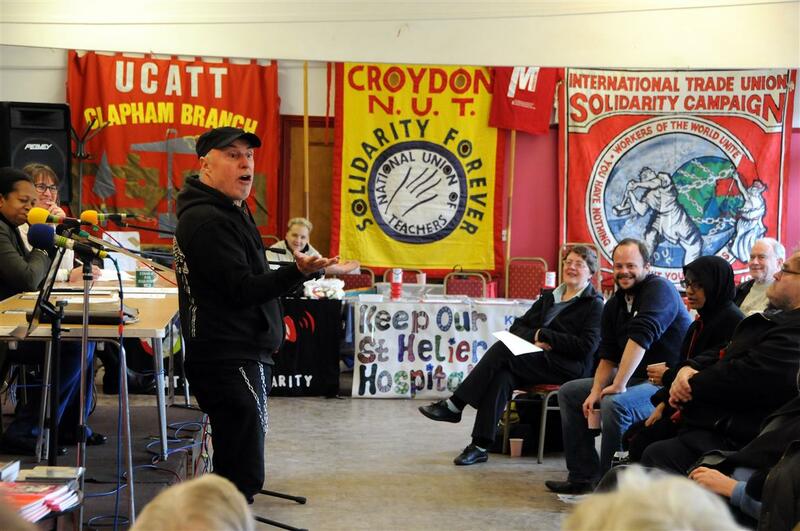 Punk poet and singer Attila the Stockbroker opened up with a stirring performance of his ironic and uncompromising attacks on the capitalist system and its rulers. National Union of Teachers former president Philipa Harvey set the scene. She warned of 20% government cuts to come in education spending. Southern Rail, currently in dispute with two unions, came under fire from both Harvey and Paul Cox, South East regional organiser for the Rail Maritime and Transport union. Multiple discussion groups focused on the defective nature of existing democracy and how the community could achieve the power to make the decisions that affect their lives. 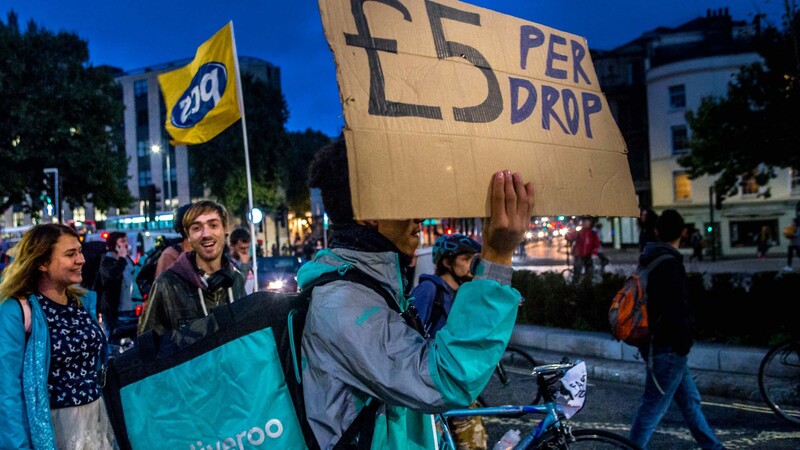 There was agreement about the need for a strategy for Croydon based on local people, neighbourhood councils, co-operatives and a sustainable approach to the economy as alternatives to the consumer-based corporate policies being implemented by the existing authorities. 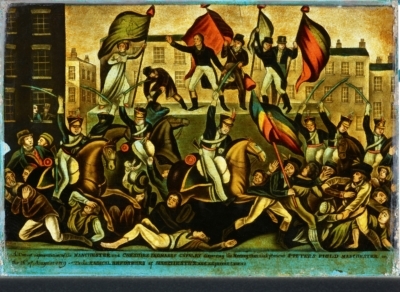 A range of ideas arose as groups examined different ways in which local areas could be brought under people’s control. Health provision, public transport, education, housing and the quality of life were analysed as crucial aspects of everyone’s life which needed to be democratised. One woman stressed the need for a coherent vision of democracy – popularised through social media and web-based technologies to challenge the rise of right-wing populism. Labour leader Jeremy Corbyn’s recent proposal that citizens assemblies could bring people closer to power was welcomed. “It could be critical in addressing democratic deficit and to bring together activists, campaigners and labour group organisations,” a summary concluded. The need to be properly informed and consulted was vital, the Assembly heard. 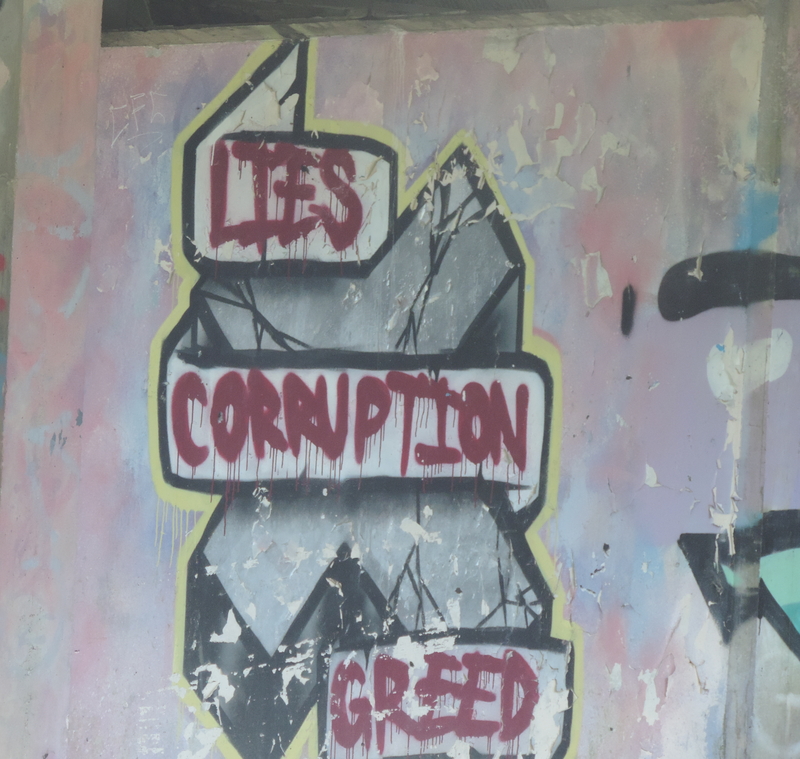 Public property, such as schools and hospitals was in danger of being secretly sold off without people realising. People needed to know that they could change things. There was at present no way for grievances to be addressed. The sharp difference between north and south Croydon could potentially be addressed by communities of interest based on the need for equal treatment across the borough and by bringing things back into public ownership. The academisation of local schools and proposed return to grammar schools was strongly opposed. Instead of constant testing, the curriculum should inspire and help children to reach their full potential. Children should learn through play and start formal education later. One discussion group proposed that the curriculum should be created jointly, by teachers, parents, guardians and representatives from the wider community. The Prevent programme was thought to encourages scaremongering, alienation and was seen as a tick box exercise for Ofsted. 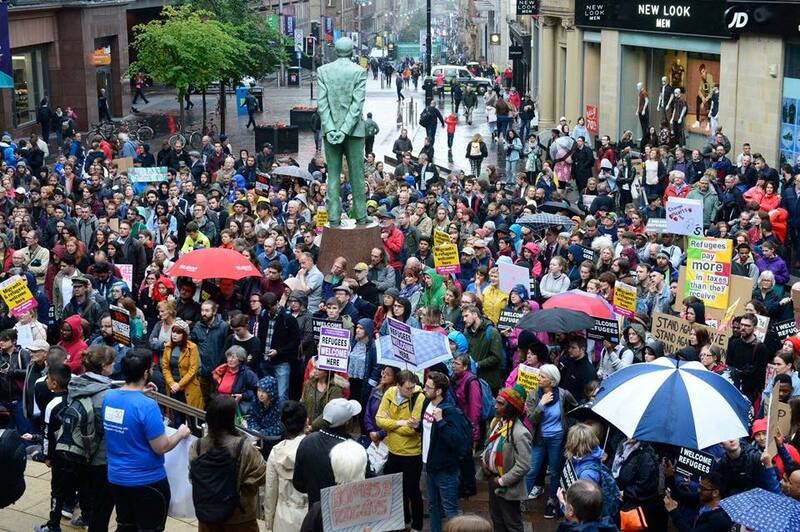 Some advocated a return to more powerful local authority control over services, whereas others felt that all communities should have assemblies which needed to become part of a larger movement with decision-making powers of its own. In the afternoon, the Assembly heard Harold Wilson from the Black Lives Matter campaign speak about the shocking killing of black people by law enforcement officers. 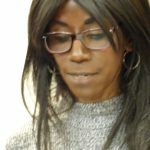 Sandra Ash from Keep Our St Helier Hospital (KOSHH) highlighted the low standing of the UK in medical provision and the danger posed by the closure of local hospitals. Disability activists from DPAC invited people to visit their stall and support them. 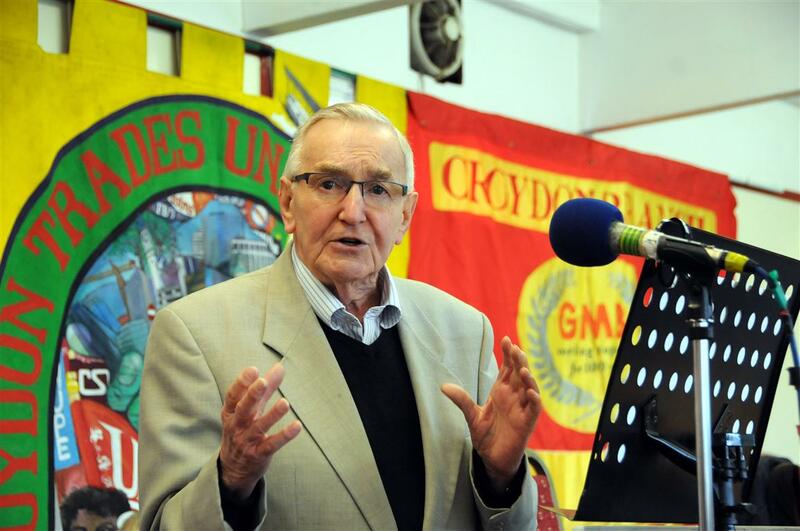 Croydon Assembly chair Ted Knight, read out a letter of support from actor Ricky Tomlinson, who is fighting for justice for the Shrewsbury building workers’ pickets, including himself, jailed in 1973. Knight said Croydon would make links with other campaigns fighting for democracy in Manchester and throughout the UK. More people need the experience of decision making and begin to understand challenges of exercising power and being able to be involved in bodies that make decisions that affect their lives and circumstances.